For those who are new in scrapbooking, don’t despair if you find the album price is too expensive. You can start just by doing a layout and frame it, have it hang on the wall or displayed on your cabinet. The newspaper cutting has been sprayed with Archival Mist by EK Success in order to make it acid free. I am not sure how effective it could be to treat the clippings, but that’s the best I can do to preserve the page. I used Perhaps patterned paper by Basic Grey as it has the orange tone that I need to go along with the felt fusion border by Queen & Co. 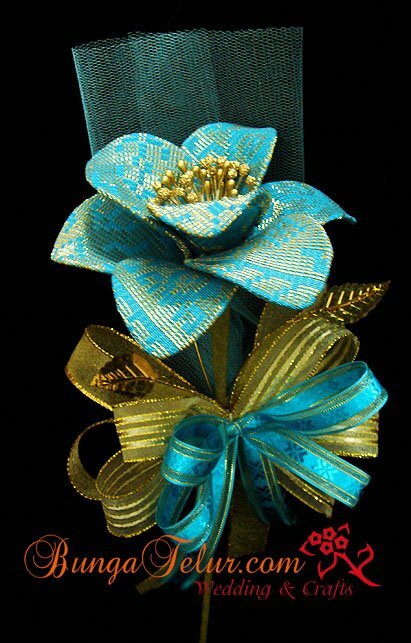 Since I would like to emphasize the news, I try to minimize the embellishment used in the layout and only used a strip of ribbon at the botom. I bought this clip frame from IKEA as it has glass on the outside. At least it can help reduce the dust and dirt from accumulating on the layout as I put the frame on the art rack in my living hall. I’m not sure whether it’s a fashion trend or what, but it seems that these days in Malaysia, among Malay women, they are crazy with beading. Whether it’s on the blouse, on baju kurung or shawl, it’s a frenzy and the in thing. Everywhere at the fashion boutique they have beads on the clothing. So being somewhat fascinated with the art of beading, I went for a basic class and bought a few beading books. I managed to jahit manik on 3-4 old baju kurung I have in my closet. Just to give it a new, trendy beaded look. Oh, I used manik jepun as they call it because the quality is better than the cheaper grade of beads and the color is more vibrant and long lasting. 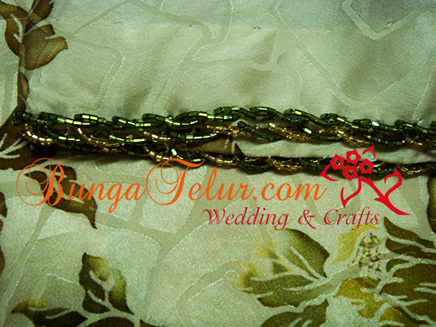 I am yet to try more complicated type of beading, these two are called piramid and manik beriring. As you can see the piramid design has something pyramid like, bigger and getting smaller with lesser number of beads at the end. While manik beriring is quite easy to sew, it’s just a straight stitch with a slight twist. I’m beading on the latest baju kurung I have and hopefully I have more weddings to attend next year so that I get to wear this new beaded baju kurung..heh! 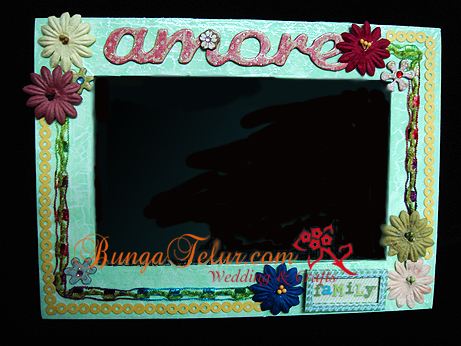 I happened to spend a lot on getting scrapbooking materials from US this year so in order not to waste any of it and while my passion is still hot, I used the Prima flowers, paper ribbons, fibres, chipboard and stickers as embellishments on this wood frame. The untreated wood frame bought from IKEA was painted using acrylic paints – white primer with Pistachio Green and since I was so eager to try the crackle medium I bought from the craft shop in One Utama, (if you look in the picture carefully), you can see the tiny crackles all over the frame. I am still mastering the crackling techniques but for now I am running out of wood frames to try my hands on..heh! Oh, the finished frame was given to a friend for her birthday present.